WASHINGTON -- Chrysler LLCs planned dealership cuts are necessary for this company and the industry to succeed, the U.S. Treasury Department said today. Treasury, which agreed to provide more than $11 billion in financing for Chrysler after its April 30 Chapter 11 filing, did not endorse Chryslers specific plan to eliminate a quarter of its 3,188 dealerships. It said the government had no role in deciding which dealerships, or how many, would be eliminated. But Treasurys statement said dealers are among the groups -- including workers, suppliers and creditors -- that must make sacrifices if Chrysler is to emerge stronger from bankruptcy. Chrysler is now positioned to move forward with a plan that retains 75 percent of its dealers -- representing 87 percent of Chrysler sales, the statement said. Chryslers plan has to be approved by a federal bankruptcy judge in New York. It seeks to stop 789 dealerships from selling Dodge, Chrysler or Jeep vehicles after June 9. 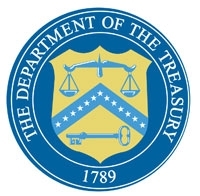 The Obama administration plans to continue its significant efforts to help ensure that financing is available to creditworthy dealers and to try to boost domestic demand for cars, Treasury said. The Small Business Administration has expanded its program of lending working capital to dealers. And President Barack Obama has endorsed a cash-for-guzzlers bill aimed at spurring auto sales that is now before the House Energy and Commerce Committee. WASHINGTON - Earlier today, Chrysler announced the specifics of its planned dealer consolidation. This announcement, which has been part of Chryslers plan for some time, is one of several steps the Company is taking to restructure to achieve financial viability. A month ago, Chrysler faced the real prospect of liquidation, which would have eliminated all 3,200 of the companys dealers. As a result of the successful Chrysler-Fiat partnership and the backing of the Presidents Auto Task Force, Chrysler is now positioned to move forward with a plan that retains 75% of its dealers – representing 87% of Chrysler sales. Consistent with the Task Forces role in the restructuring process, it was not involved in the specific design or implementation of Chryslers dealer consolidation plan. The Task Force played no role in deciding which dealers, or how many dealers, were part of Chryslers announcement today. We understand that this rationalization will be difficult on the dealers that will no longer be selling Chrysler cars and on the communities in which they operate. However, the sacrifices by the dealer community – alongside those of auto workers, suppliers, creditors, and other Chrysler stakeholders – are necessary for this company and the industry to succeed. And a stronger Chrysler, supported by an efficient and effective dealer network, will provide more stability for current employees and the prospect for future employment growth. In addition, the Administration is committed to continuing its significant efforts to help ensure that financing is available to creditworthy dealers and pursuing efforts to help boost domestic demand for cars. These steps will help auto dealers, the auto industry, and the American economy. dealers who have been nothing but good partners over the years. assisting these dealers during these historically challenging times.